Although it may be one of the more expensive models on our list, the BioLite Wood Burning Campstove provides a ton of features that accommodate the modern camper or backpacker. Of the things that set it apart from the competition, the USB charging ports are perhaps the most striking. BioLite CampStove Campstove 2 Wood Burning & USB Charging Camp Stove. If you like to stay safe and connected to the outside world while camping, you can keep your devices charged by plugging them in every time you go to use this amazing product. 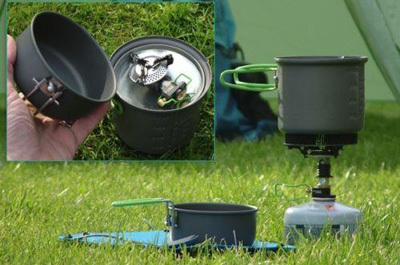 In simple words, this portable camping stove can get you rid of carrying some additional camping gears. Especially for those who hate making long stops, the boil time of the BioLite Wood Burning Campstove is impressive, at just 4-½ minutes. Additionally, the internal starter battery makes it simple to get the flames going. The fuel-less operation makes the BioLite Wood Burning Campstove a perfect choice for environmentally conscious consumers. 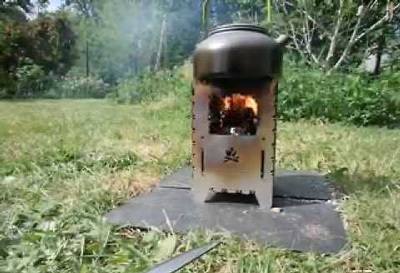 If you are against placing harmful chemicals into the atmosphere, and investment in this camping wood burning stove model can help you fight global problems. Powers Most USB Chargeable Devices. Boils 1 Liter of Water in 4-½ Minutes. 5 x 5 x 8.3-Inches. The most expensive model on our list, the MSR Reactor Stove System does not disappoint when it comes to luxury features and overall performance. Additionally, it is extremely compact, making it perfect for any camper or backpacker. Although it uses fuel, the radiant burner and heat exchanger of the MSR Reactor Stove System is extremely efficient. Due to this, you will be using much less energy and fuel overall if you invest in this fantastic product. 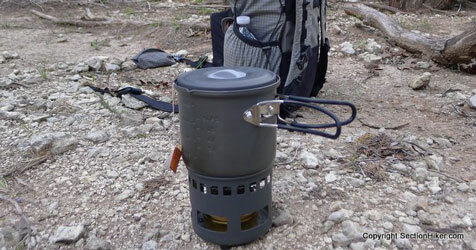 The MSR Reactor Stove System is extremely fast, and can boil a liter of water in just 3 minutes. Given the fuel use efficiency of the model, combined with this feature, you get a product that is dedicated to being friendly to both the environment and your wallet. You get a high-efficiency pot built into the MSR Reactor Stove System, allowing you to be ready to cook right out of the box. Overall, this is a backpacking stove that will keep you focused on the journey ahead, and will do its best to not delay you at any time. Boils 1 Liter of Water in 3 Minutes. Radiant Burner & Heat Exchanger.